In 1462, Vlad Dracula, a member of the Order of the Dragon, returns from a victory against the Turks to find his wife, Elisabeta, has committed suicide after receiving a false report of his death. 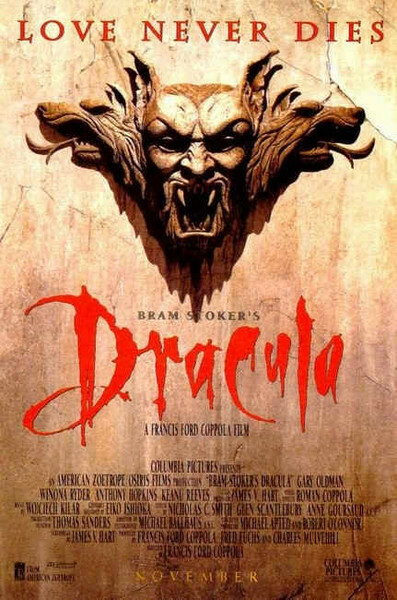 Enraged that his wife is now damned for committing suicide, Dracula desecrates his chapel and renounces God, declaring that he will rise from the grave to avenge Elisabeta with all the powers of darkness. In a fit of rage, he stabs the chapel's stone cross with his sword and drinks the blood which pours out of it. Read more on Wikipedia.